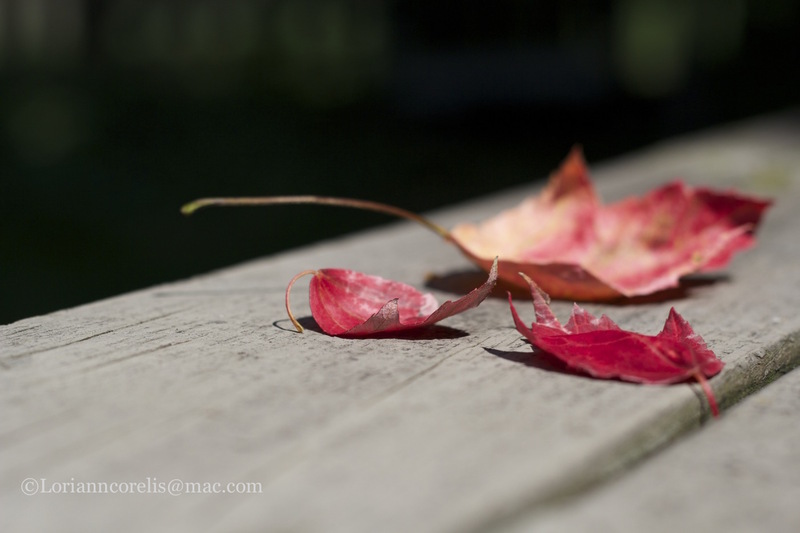 Last year I took the below photo of a few curled leaves I'd picked up on a walk. keeping me company and making me smile. 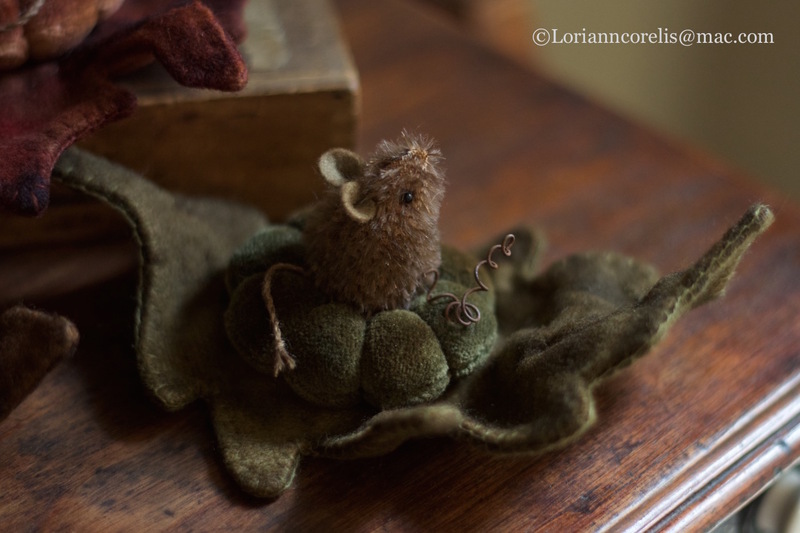 One day I nestled a teeny velvet tuffet into one and voila! Please meet the little pin keeper mouse friends this wee bit of nature inspired me to create. 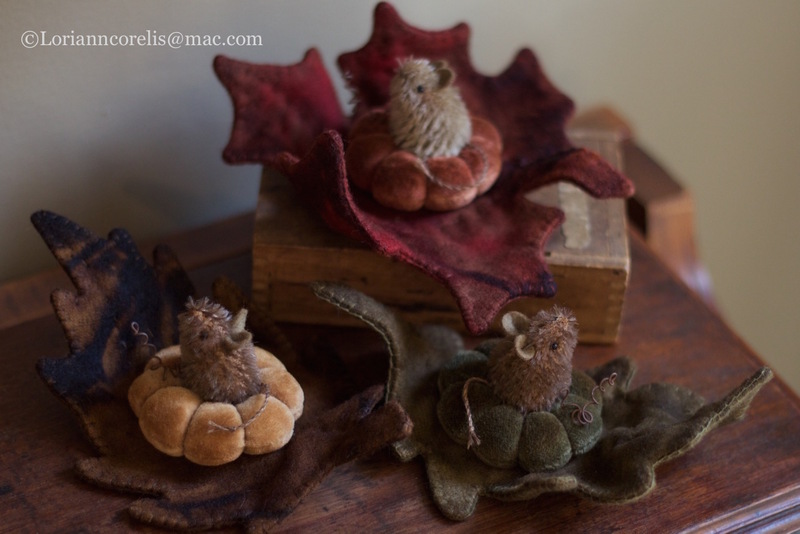 Fall leaves and mousers . . . a perfect combination! 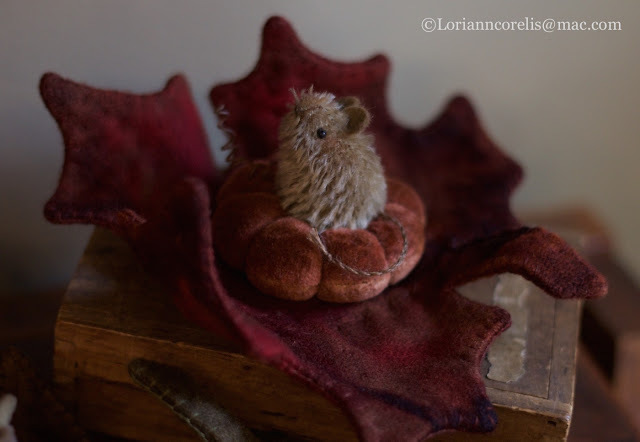 Each approximately 2" h x 7" w.
Hand dyed, lined woolen leaves, gently wired and blanket stitched all round. These woolens are mottled just perfectly in natures colors! 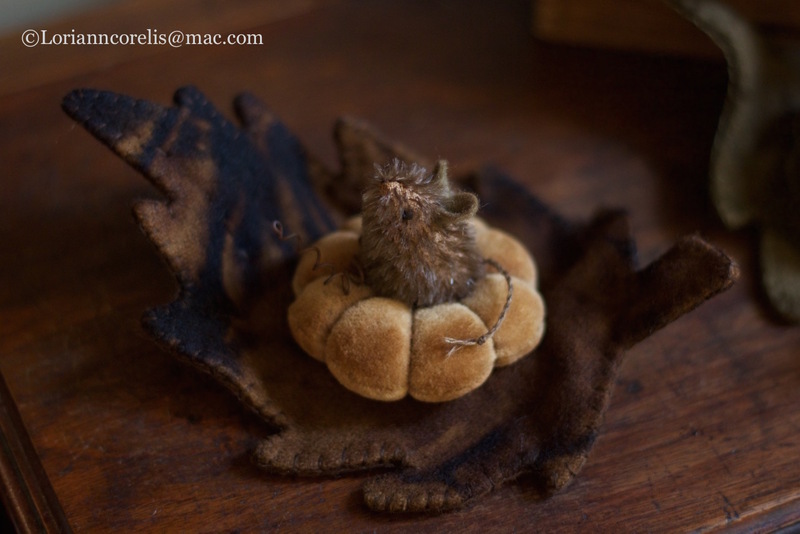 A hand dyed velvet pumpkin tuffet & wee mohair mouse nestles inside each leaf. A hint of fall to make you smile! They are just the cutest Lori! I get creators block every now and then...your creativeness just seems to flow. Audrey . . . Oh my trust me . . . creative block reigns here as well!! So sweet! ... love them all! Just beautiful Loriann and they all made me smile!! Blessings to you my friend! Your work is always such a delight and created with perfection, so wonderful to see. So adorable. I think I need speed dial to get a chance to buy! Your creations are all so lovingly created. I am eager to open your page all the time. Absolutely enchanting!!! I love your work. Oh my goodness! I LOVE these! Your art is always amazing and inspiring, Lori Ann!